Successfully Added Xiaomi Yeelight LED Light String - WiFi, App Control, 16 Million Colors, Adjust Light To Music Rhythm, 2m Lenght, 12W to your Shopping Cart. Color up your life with this smart LED light strip brought to you by Xiaomi. The Xiaomi Yeelight LED light string features a ton of intergraded colorful LED lights. It supports 16 million colors thanks to which it is truly able to set the right atmosphere for any occasion. 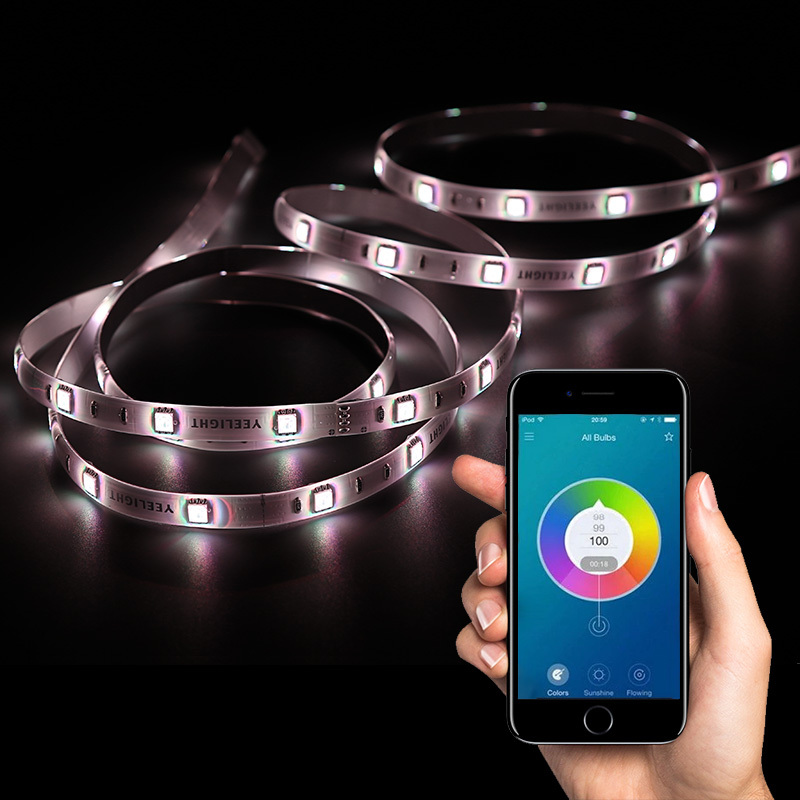 But what sets this LED light strip really apart is the fact that it is Wifi enabled. This means that you’ll be able to control it through your mobile application. Through the mobile App, it allows you to adjust the color, brightness, and more. Your smart LED light strip works with both Android and iOS phones. With a length of 2 meters, this 12W LED light is perfect for decorating any room in your home. It is furthermore great for in bars and nightclubs. This LED light strip is capable of adjusting its colors at the rhythm of the music. This will provide you with a cool light effect that goes perfectly along with your favorite songs. It has been crafted out of flexible gel. This makes your color light easy to install and lets you shape and twist it in any direction. If you’re looking for a cool smart LED light to spice of your life, the Xiaomi Yeelight LED light strip is perfect for you. The Xiaomi Yeelight LED light string comes with a 12 months warranty, brought to you by the leader in electronic devices as well as wholesale LED lights..